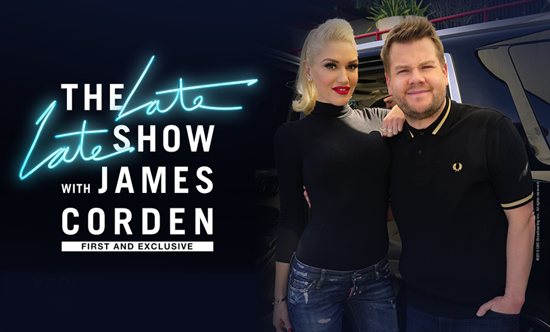 Catch Gwen Stefani, George Cloony & Julia Roberts On "The Late Late Show With James Corden" Tonight! 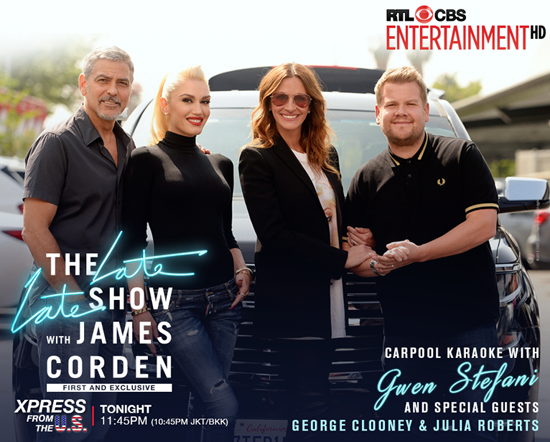 The most epic special guest carpool karaoke is happening tonight on The Late Late Show With James Corden at 11:45pm (10:45pm JKT/BKK) on RTL CBS Entertainment. Sing along with Gwen Stefani and James Corden as they pick up special guests George Clooney & Julia Roberts to join in along the way. Here's what happens in previous episodes with Jennifer Lopez, Sia and Adele. This guy can really rock Carpool Karaoke!